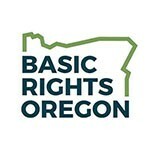 Spots are available for “Transgender Inclusion and Interrupting Interpersonal Oppression Moments,” a training session provided by Basic Rights Oregon, according to Yuri Hernández Osorio, student activities. The training session takes place on Monday, August 20, 9 a.m. to 11 a.m., in the Beauchamp Wellness Center 2nd floor classroom. To reserve a spot please e-mail Yuri at hernandy@up.edu. The free training is provided by Diversity and Inclusion Programs, and will cover transgender inclusion to create a shared discourse and understanding. Attendees will build on their understanding of privilege and oppression and how different forms of oppression are manifest and connected. Participants will get the chance to practice hands-on interruption of interpersonal oppression. For more information contact Hernández Osorio at hernandy@up.edu.